Not to say I was right, but I was right! It may be the only time all year that I can say that, so I have to get it out of the way. It looked like the house may be split on the voting with a 5-5 result and Rachel casting the tie-breaking vote, but it turned out 6-4, and Keith was sent packing. He just didn’t make enough friends on his side of the house, and it showed. Jordan is the next HOH, which keeps the control of the house on the veterans’ side. NOT good news for the newbies, who have already lost one player in Keith. They originally had numbers, but now they’re down one person and loyalty looks to be weakening. After Jordan’s HOH tour, it’s time for the Have-Nots competition. Shelly, Cassi, Dominic, and Adam end up losing, being forced to eat slop and whatever other food America picked. Turns out, it was jerky and jelly beans! Not too terrible…I think I could eat jerky for a week! Each newbie makes their way up to the HOH room to try to join the veterans’ team, and Jeff and Jordan aren’t sure who to trust. They end up trusting Dominic and Adam the least, as they are the duo that is put up for nomination. The veto competition is next up, with eliminations coming tomorrow night. I’ve watched this show on Fox since it debuted several seasons ago (Season premiere was Monday and Tuesday night this week on Fox), and I like it enough to keep watching. However, I can’t help but wonder about the casting. The purpose of the show is to bring on 18 “chefs”, with one getting evicted each week and the eventual winner becoming the Executive Chef at a prestigious restaurant located somewhere in the world. I put chefs in quotes because there is a wide range of participants, from line cooks to fry cooks to personal chefs to junior sous chefs, and everything in between. The man behind the show is famous chef Gordon Ramsay, who I like a lot. He’s in your face, brutally honest, and is good for TV ratings. Back to my original thought….Seeing some of the contestants on the show in the first few weeks is entertaining, to say the least. Some of the cooks simply can’t cook, whether it’s cooking a steak right to cooking rice to cooking basic side dishes. If you’re going to be an Executive Chef at a famous restaurant, you obviously need to know how to cook the most basic foods. Which leads to my point, I’d estimate at least half of the contestants on the show are chosen for ratings. Which, if I’m the producers, I’d have to partially go that route because that’s what gets ratings. So I’m not necessarily blaming anybody for doing that, just find it humorous. Are there any shows on TV that you’d like to read about? I can’t say I’ll watch anything, but I can open up my TV viewing to whatever our readers are interested in! Bob Inferapels partners with Cheri Nobel to write a weekly column on entertainment and recreational activities. 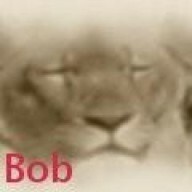 Read all of Bob's articles in The Playground.